Last week Mortgage Professionals Canada (formerly CAAMP) hosted the mortgage industry’s biggest annual gathering of mortgage professionals. The event took place at Metro Toronto Convention Centre, and was attended by 1,200+ brokers, lenders and suppliers. There were more than 70 Expo exhibitors and 540 attendees at the Hall of Fame/Awards Night. An overview of Expo developments can be found here. This year’s edition was hosted by comedian Lee Smart and included an appearance by former CAAMP CEO Jim Murphy, one of the award presenters for the evening. Award of Excellence recipients included Sarah Schiess (Broker of the Year); Karim Awad (BDM of the Year); Richard Moxley (Financial Literacy Leader of the Year); Shane Bruce (Marketing Campaign of the Year); Conrad Neufeldt (Innovator of the Year); Kerri Reed (Mentor of the Year); and Jared Stanley (Underwriter of the Year). This year’s Hall of Fame inductees were Boris Bozic and Alan Jette. For that story, click here. 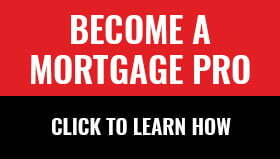 Mortgage Professionals Canada unveiled the “big announcement” it had been teasing about for weeks. As you’ve no doubt heard by now, it was a name change to Mortgage Professionals Canada. Here’s more on that rebranding initiative. The new Board of Directors for the association was also unveiled. Here’s the list of this year’s board members. The panelists agreed there is much frustration across the industry due to stricter lending requirements. “Completing a file is so much more than it used to be. It’s a challenge today,” summarized Reed. Amy Cuddy, Associate Professor at the Harvard School of Business (she delivered the second-most viewed Ted Talk of all time). She spoke about the effect that body language has on how others view us, but also on how we see ourselves. She cited “yoga science” that has proven how high-power poses and stretching can affect hormone levels, which in turn lead to psychological changes such as an increase in assertiveness, risk tolerance, competitiveness and confidence.